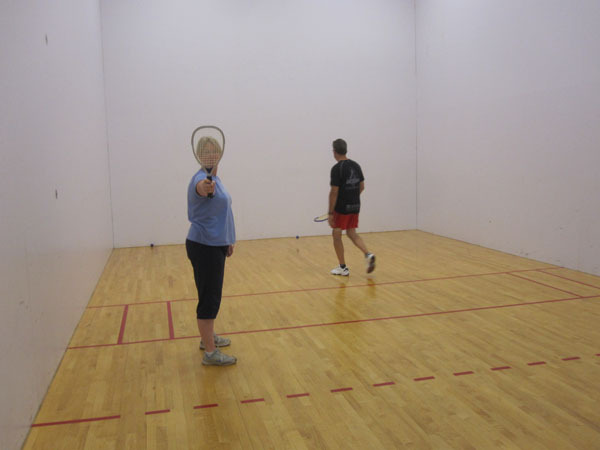 We were looking for a new sport to humiliate each other with and the idea for racquetball jumped to the forefront. 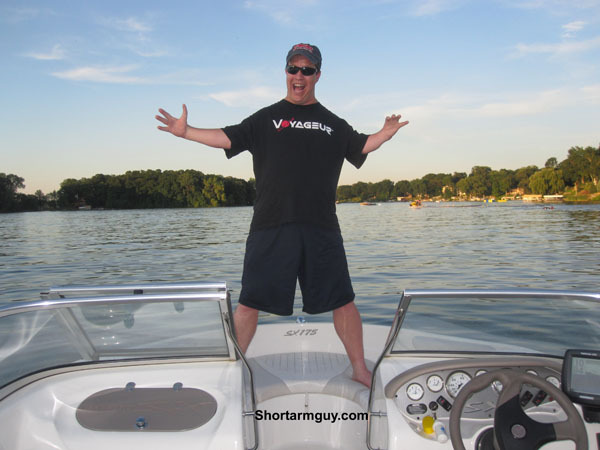 So on Tuesday night, we headed to Dakotah Sport and Fitness to take our first lessons. It took us all awhile to learn that the object of the game wasn't to hit Miss Sheri in the face with the ball. Thankfully, she was prepared to defend herself from our family's ignorance. I'm quite glad that we took the lesson. I honestly think that I've now learned enough that I am able to take my game to the next level. Which would be Level 1! 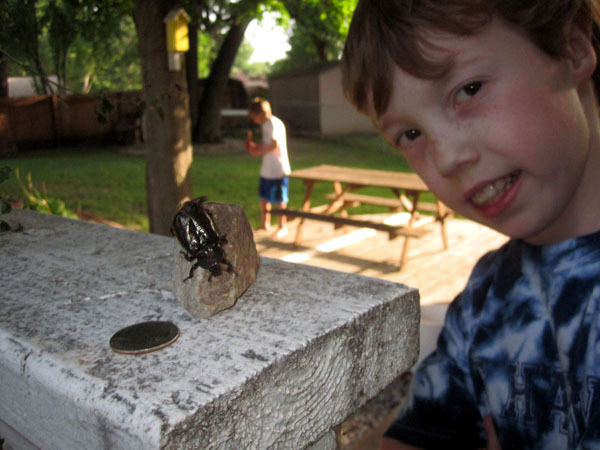 On Friday night, Luke was very excited to discover this large Junebug in our backyard. He couldn't wait to show it to his brother who's not real fond of spiders and large bugs and things like this. Avery responded pretty much like I thought he would. Lucky for all of us, the slingshot rock missed his brother's head by a good couple of yards. Nothing to worry about. 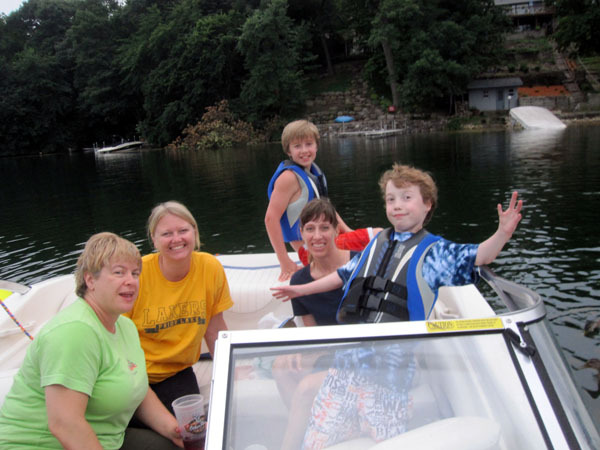 Miss Sheri's old buddies, Robin and Cathy, were in town for the weekend so we took them on the boat. 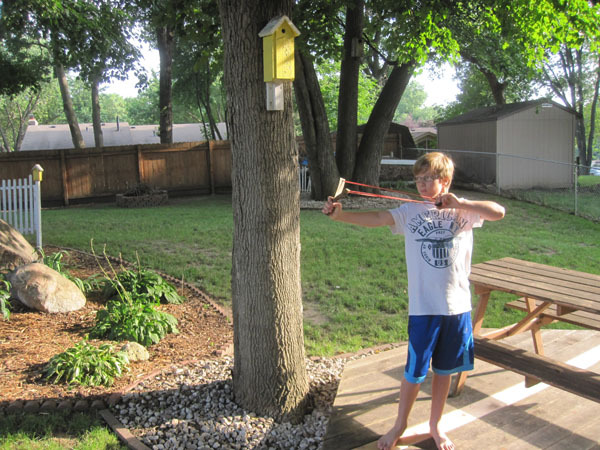 We thought it might help us to keep the boys away from slingshots and bugs and rocks and stuff like that. 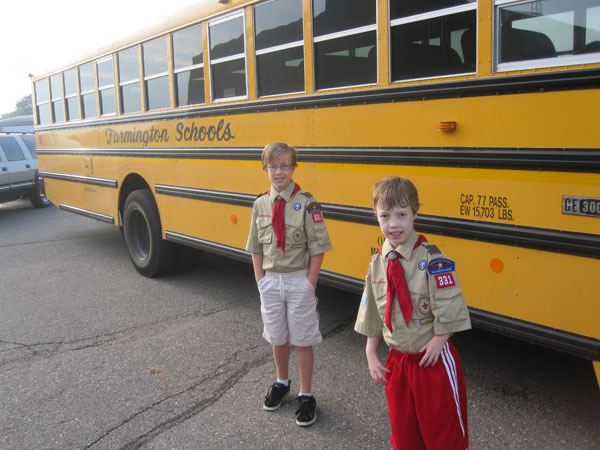 Early on Saturday morning, we loaded the boys up with their uniforms and tents and sleeping bags and a bunch of other stuff and sent them away to Tomahawk Boy Scout Camp. Now they're somebody else's problem for a few days! 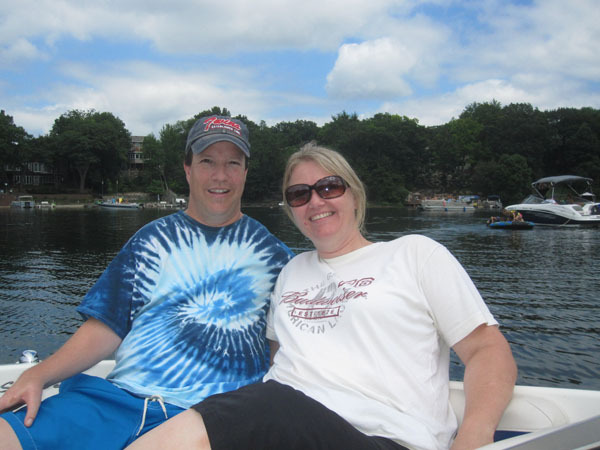 On Sunday, Cathy's boyfriend Jeff joined us for another boat ride. 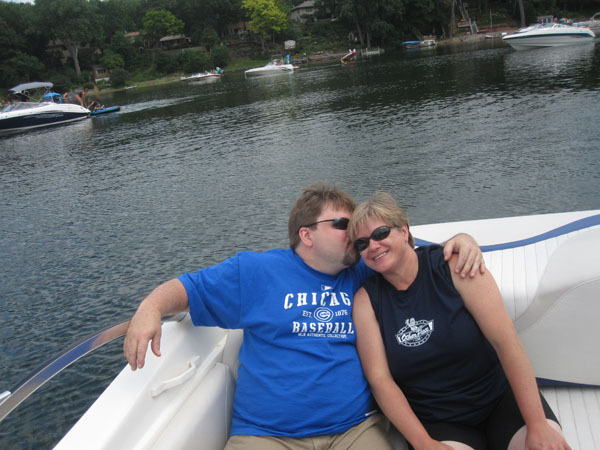 It was a lot of fun, but he kept telling her secrets the whole day so I started to became a little self conscience. I was so happy to have Miss Sheri without the kids so she could finally live her life outside of "Mom Mode" for awhile. This is literally the first time she's let me sit next to her in more than three years.